(Trent Nelson | The Salt Lake Tribune) Christopher Ruud, veteran dancer at Ballet West, is retiring after this season — with his last major role in the production of Swan Lake set for Feb. 8-23. He was photographed during rehearsal at the Capitol Theatre in Salt Lake City on Thursday Jan. 17, 2019. At left is Sayaka Ohtaki. (Trent Nelson | The Salt Lake Tribune) Christopher Ruud, veteran dancer at Ballet West, is retiring after this season — with his last major role in the production of Swan Lake set for Feb. 8-23. He was photographed at the Capitol Theatre in Salt Lake City on Thursday Jan. 17, 2019. (Trent Nelson | The Salt Lake Tribune) Christopher Ruud, veteran dancer at Ballet West, is retiring after this season — with his last major role in the production of Swan Lake set for Feb. 8-23. He was photographed during rehearsal at the Capitol Theatre in Salt Lake City on Thursday Jan. 17, 2019. (Trent Nelson | The Salt Lake Tribune) Christopher Ruud, veteran dancer at Ballet West, is retiring after this season — with his last major role in the production of Swan Lake set for Feb. 8-23. He was photographed during at the Capitol Theatre in Salt Lake City on Thursday Jan. 17, 2019. (Trent Nelson | The Salt Lake Tribune) Christopher Ruud, veteran dancer at Ballet West, is retiring after this season — with his last major role in the production of Swan Lake set for Feb. 8-23. He was photographed during rehearsal at the Capitol Theatre in Salt Lake City on Thursday Jan. 17, 2019. (Trent Nelson | The Salt Lake Tribune) Christopher Ruud, veteran dancer at Ballet West, is retiring after this season — with his last major role in the production of Swan Lake set for Feb. 8-23. He was photographed during rehearsal with Katherine Lawrence at the Capitol Theatre in Salt Lake City on Thursday Jan. 17, 2019. Christopher Ruud, like a lot of dancers who have performed for Ballet West, is rather possessive about the Salt Lake City troupe’s longtime home, the Capitol Theatre. 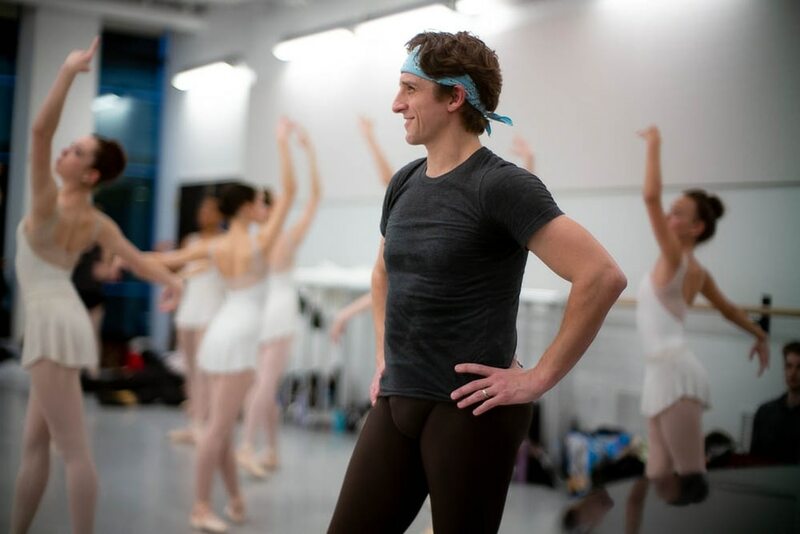 Ruud will dance a familiar role — Siegfried, the melancholy prince who falls in love with a bird who transforms into a woman — in the last two of Ballet West’s 11 shows. 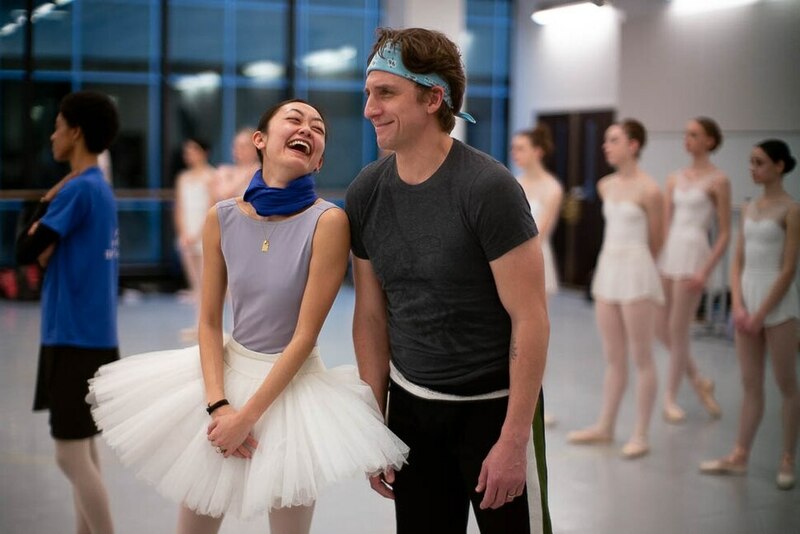 They will be his final performances on the Capitol stage: The 41-year-old dancer is retiring at the end of this season from Ballet West, where he has danced since 1998. Like any veteran athlete, Ruud can list the body parts that pain him these days, from his toes up. He has had two operations on his left ankle, major surgery on his left knee and two procedures on his right knee. He credits Andrew Cooper, the orthopedic surgeon who treats the U.S. Ski and Snowboard team and Real Salt Lake, for prolonging his career. Performing Siegfried in “Swan Lake” — which rivals “The Nutcracker” as the most iconic of the classic ballets — is a perfect way for Ruud to bow out, said Adam Sklute, Ballet West’s artistic director. He noted that Ruud played Siegfried when Sklute’s predecessor, Jonas Kåge, staged the work and when Sklute mounted his version in 2010 and 2014. “It’s wonderfully poetic that his last performances at the Capitol Theatre will be as the prince,” Sklute said. Since its premiere in 1876, Pyotr Ilyich Tchaikovsky’s classic tale “has been crafted and redrafted and changed and altered,” Ruud said. “There’s almost infinite versions now." Ruud grew up around “Swan Lake” as the son of ballet dancers Tomm Ruud and Mary Bird, who both danced for Ballet West in the 1960s and 1970s. 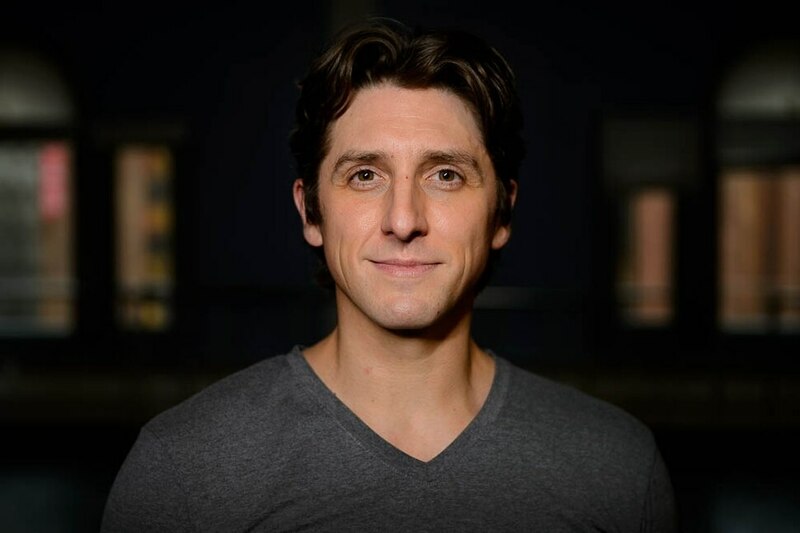 Tomm became a principal dancer at the San Francisco Ballet in 1975; Christopher was born in the Bay Area in 1977 and grew up backstage. 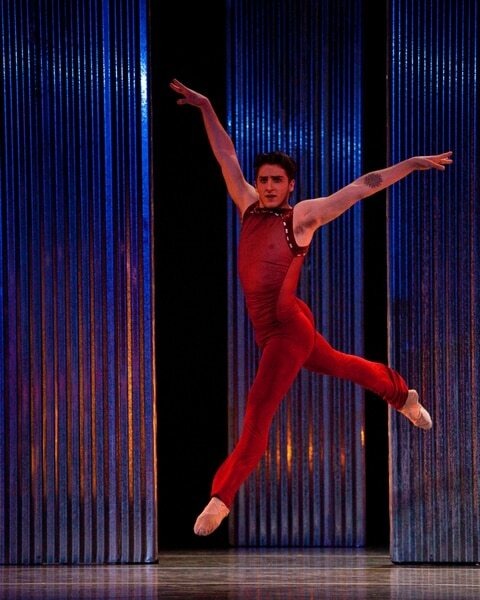 (Luke Isley | courtesy Ballet West) Christopher Ruud performs Bolero in 2011 for Ballet West. (Luke Isley | courtesy Ballet West) Christopher Ruud performs in Ballet West's 2012 production of Don Quixote. (Luke Isley | courtesy Ballet West) Christopher Ruud performs In the Middle, Somewhat Elevated for Ballet West's program Almost Tango in 2015. Beau Pearson | Courtesy Ballet West principal artists Arolyn Williams and Christopher Ruud in ÒMadame Butterfly,Ó running Nov. 4-13, 2016, at the Capitol Theatre in Salt Lake City. Francisco Kjolseth | The Salt Lake Tribune Innovations 2016 opens with a World Premiere by Principal Artist Christopher Ruud. Titled In Memorium, this is his fourth commission for the Company. Ballet WestÕs ninth annual new works program, Innovations 2016 takes the stage May 20-28 at the intimate Rose Wagner Performing Arts Center. This year, the program will be a fresh and exciting showcase for new and cutting-edge choreography, including four original works created by Ballet West dancers, and a Ballet West Premiere by renowned choreographer Jessica Lang. Chris Detrick | The Salt Lake Tribune Ballet West members Christopher Ruud, Arolyn Williams and Allison DeBona perform Helen Pickett's Games, during a dress rehearsal of The Nijinsky Revolution,” at the Capitol Theatre Thursday April 14, 2016. 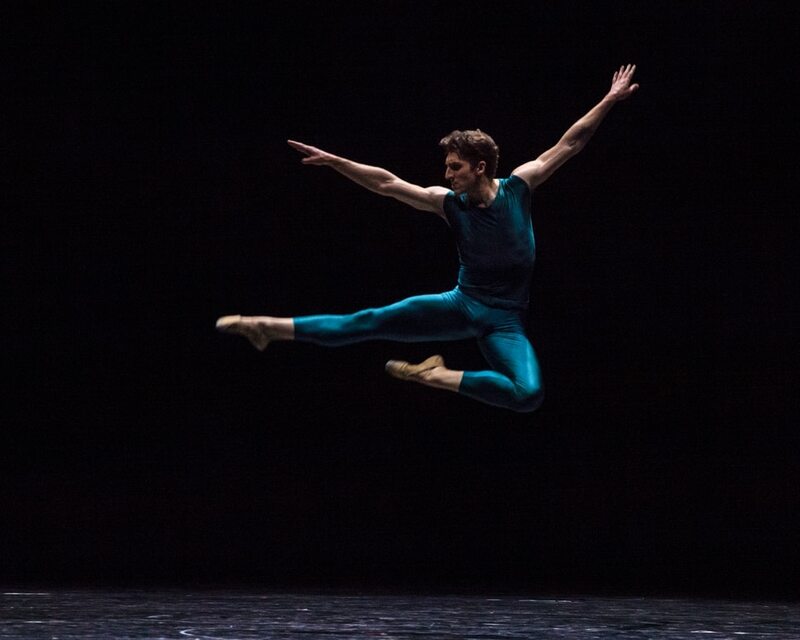 On the program are three modern-day interpretations of the legendary Vaslav Nijinsky’s work: Helen Pickett’s “Games,” set to the original Debussy score; Jerome Robbins’ “Afternoon of a Faun,” placing Debussy’s music in a ballet studio; and Nicolo Fonte’s “The Rite of Spring,” set to Stravinsky. The Sugar Plum Fairy cavalier played by Christopher Ruud takes the stage as cast members of Ballet West, of Salt Lake City, Utah work through a dress rehearsal for their performance of The Nutcracker at The John F. Kennedy Center for the Performing Arts in Washington, DC., Wednesday, December 10, 2014. (Photo Rod Lamkey Jr.) Chris Detrick | The Salt Lake Tribune Ballet West's Katherine Lawrence and Christopher Ruud perform during RUUDDANCES at the Utah Arts Festival Friday, June 23, 2017. Luke Isley | Courtesy Photo Soloist Beckanne Sisk and Principal Artist Christopher Ruud perform in Ballet West's The Nutcracker in 2017 in Salt Lake City. Christopher Ruud first danced at age 9, but quit in high school. He enrolled at the University of Utah as a drama major, in part “to take advantage of the glorious snow they have here,” he said. After a few months at the U., professors in the dance department who knew Ruud’s parents urged him to switch majors. He started dancing again, and by his second year of college, “I fell back in love with dancing, and I wanted to do it professionally while I was young,” he said. Ruud toiled in the troupe’s lower ranks for a couple of years before being promoted to soloist in his third season, and to one of the principal dancers in 2004. Ruud gushes about his partner offstage, Loren Threet, a financial planner who has a background in dance. The two have been together for five years and married last September. Until something else comes along, Ruud is preparing for performances of a work by choreographer Edward Liang in May at the Rose Wagner Performing Arts Center and will continue programming the ballet portion of the Utah Arts Festival in June. Ballet West’s production of Tchaikovsky’s “Swan Lake,” conceived and produced by Adam Sklute, with original choreography by Mark Goldweber and Pamela Robinson-Harris.